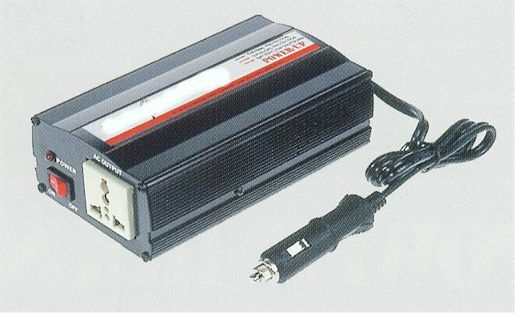 This inverter supplies continuous 240v ac power via a standard 13A socket and can be used to run almost any household or electronic device or appliance up to 300w from a 12v battery (car, caravan or boat battery) Safety features include automatic shutdown and a low battery voltage alarm to prevent damage to your battery. 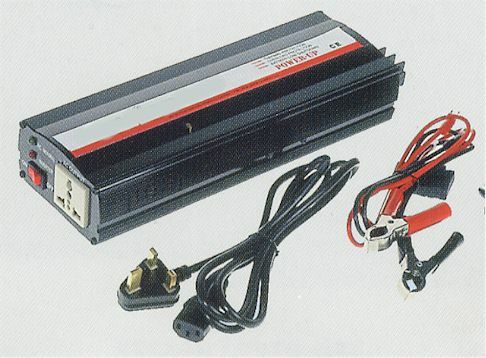 Supplied with comprehensive user guide and trouble shooting guide. 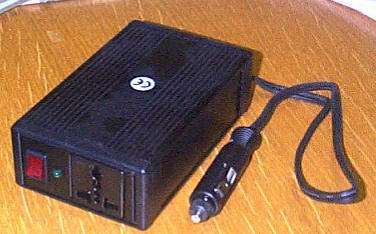 The DC to DC converter stage uses modern high frequency power conversion techniques that have replaced bulky transformers found in less technologically advanced models. The output is known as 'modified sine wave' This type of waveform is suitable for most types of AC load. 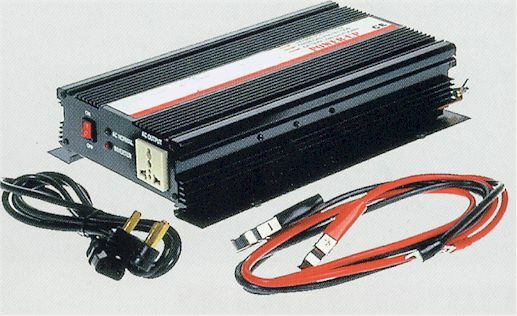 Uses for the inverter include, but are not limited to - games consoles, lap tops, xbox, digital camera chargers, video players, video camera chargers, lamps and lights, DAB and conventional mains radios, televisions, LCD televisions, CD players etc. 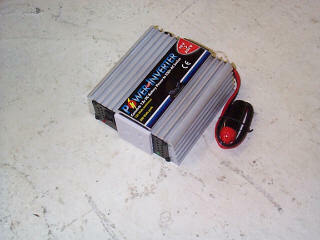 range of sizes froml45 Watt up to 2.5Kw. 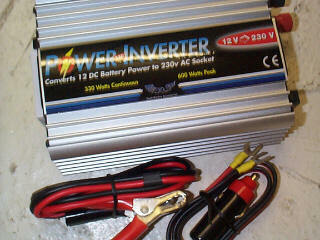 POWER-UP features these Units are fully automatic with a built in Battery Charger. Stereos, Musical Instruments, Fans, and much more. 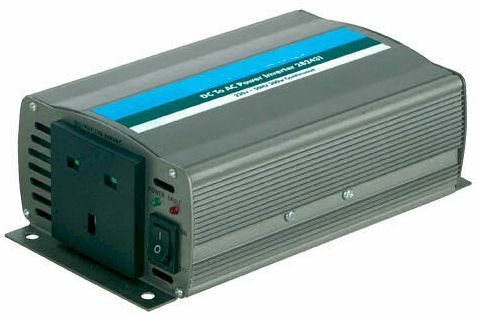 Our latest addition to our range of modified sine wave inverters consists of two new models. Leads fly lead with cigar plug Terminals plus fly lead with cigar plug and also a fly lead with large crocodile clips. Features, low battery audible warning, low power shut off, overload protection, short circuit protection, modified sine wave, temperature protection, 113A socket outlet. 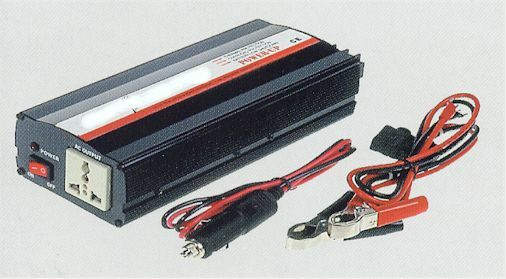 Mains electricity from your 12v battery. 150watt output (200w peak) 150x90x50mm, standard 13A socket output and multi national socket, input plugs into cigar socket 90% efficiency 150 x 90 x 50mm,1/2kg weight.